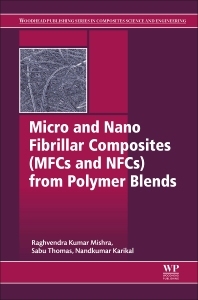 Micro and Nano Fibrillar Composites (MFCs and NFCs) from Polymer Blends is a comprehensive reference for researchers, students and scientists working in the field of plastics recycling and composites. The book aims to determine the influence of micro and nanofibrillar morphology on the properties of immiscible blend systems. Chapters cover micro and nanofibrillar composites based on polyolefin, liquid crystal polymer, biodegradable polymers, polyester and polyamide blends in various industrial application fields. The book brings together panels of highly-accomplished experts in the field of plastics recycling, blends and composites systems. For several decades, plastic technology has played an important role in many industrial applications, such as packaging, automobiles, aerospace and construction. However the increasing use of plastics creates a lot of waste. This has led to restrictions on the use of some plastics for certain applications and a drive towards recycling of plastics. More recently, microfibrillar in-situ composites have been prepared from waste plastics such as PET/PP, PET/PE and Nylon/PP as a way of formulating new high performance polymer systems. This book tackles these issues and more, and is an ideal resource for anyone interested in polymer blends. Raghvendra Kumar Mishra is a Visvesvaraya Senior Research Fellow at the International and Inter University Centre for Nanoscience and Nanotechnology, Mahatma Gandhi University, India. He received his M.Tech., in Materials Science and Technology from the Indian Institute of Space Science and Technology (ISRO), India in 2015. His specialized areas of research include: Polymer Recycling, Polymer blends, Fibre filled polymer composites, Particulate filled polymer composites and their morphological characterization, Ageing and degradation, Carbon nanotubes, Graphene, and Conducting polymer blends and composites.